To celebrate each of their 30th anniversaries, the iconic bands will party like it’s 1989 when they hit Bristol, Southampton, London, Wolverhampton, Norwich, Nottingham, Leeds, Manchester and Glasgow between December 9 and 21. Tickets go on sale at 9am on April 17. 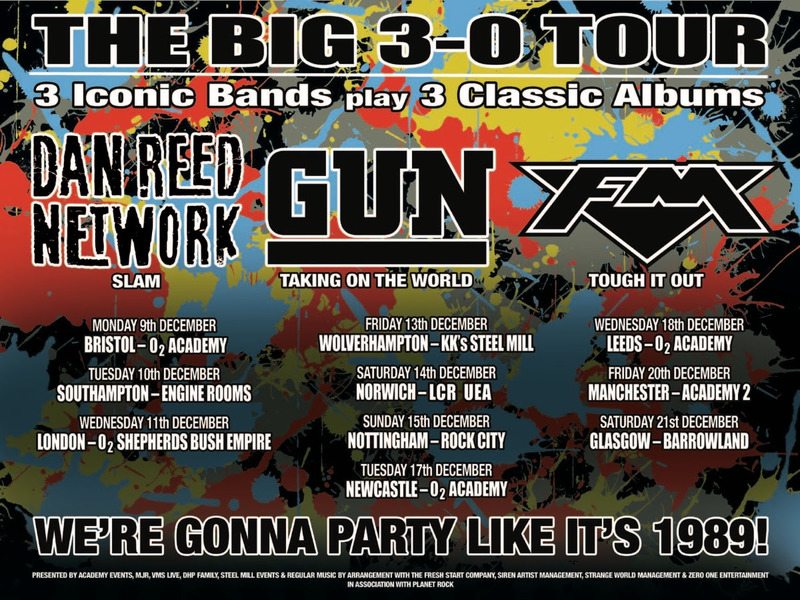 Titled The Big 3-0 Tour, Gun will perform ‘Taking On The World’ in full, FM will play ‘Tough It Out’, and Dan Reed Network deliver ‘Slam’ in its entirety to celebrate the 30 years of each legendary album. “This is sure to be an incredible run of dates,” said Gun’s Dante Gizzi. “Three great bands, three classic albums and 30 years of music - what more could you want,” noted FM’s Steve Overland, while Reed added, “It’s going to be a full-on night of hard driving grooves and soaring melodies and a celebration of the past, present and future”. Click here to compare & buy Gun Tickets at Stereoboard.com. Gun have announced winter shows and details of their new album, 'Favourite Pleasures'. 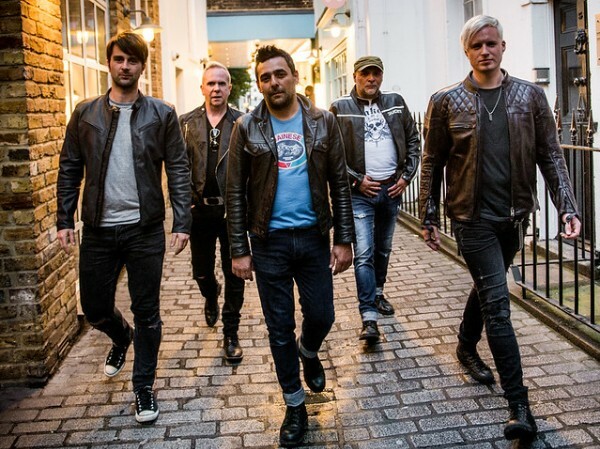 GUN have added two new Scottish shows to their forthcoming tour. 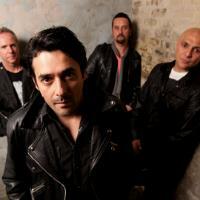 GUN have announced details of a brand new single alongside dates for an autumn tour of the UK and Ireland.